We are looking to give you the best experience in Charleston. Our properties are only a few blocks away from delicious Charleston cuisine and extraordinary architecture. Some come feature a heated pool, some have gorgeous balconies, and some feature unique architecture. After a long day of exploring the historic district we have just the place to rest easy. Our properties have an endless amount of amenities that guests fall in love with. 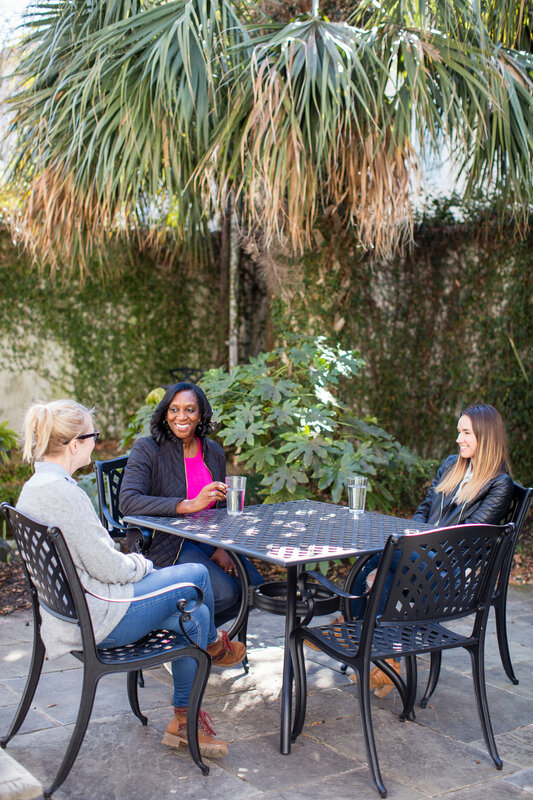 All of our properties are within walking distance of famed King St. and The College of Charleston. Several feature porches and balconies for the next painted sunset. Our smaller suites share a heated pool, a koi pond, and garden space found in the courtyard. All of the units are settled in a historic home here in Charleston with its own unique story.